Alas, Poor Windows RT… I Knew Ye Not! Microsoft is in a tough spot. Windows RT is all but dead in the water. But Microsoft has approximately a zillion and a half Surface RT tablets collecting dust in warehouses. And so Ballmer and Co. continued its ignorant fight against Apple and the far more successful iPad with another TV spot that pits the two against each other. Spoiler: The Surface RT is declared the winner. Like in previous commercials, the Surface RT’s legitimate advantages are touted over the iPad and iOS. And in many cases, Microsoft isn’t exactly deceitful. The Surface, and with that, Windows RT, has clear advantages over the iPad. At first blush Windows RT feels more productive and advanced than iOS. But after a couple of swipes left and right on the Start Screen, the novelty wears off. Of course Microsoft failed to stack Windows RT’s apps against those found in iOS. Windows RT was a dog from the start. And now that Asus pulled back from the market, the little brother to Windows 8 will quickly fade into irreverence. With Asus out, just Dell and Microsoft remain as the only Windows RT hardware providers. Samsung, HTC, HP, and Lenovo previously pulled plans for a Windows RT tablet. Ubuntu Edge Now Available for Pre-Order at $695.00! With 14 days to go, it’s time for our biggest announcement yet. From now until the end of the campaign, we’re fixing the price of the Ubuntu Edge at $695! No limited quantities, no more price changes. You wanted a more affordable Edge, and now you’ve got it. How are we able to do this? Mainly thanks to all of you. The huge support the Ubuntu Edge has been receiving from all corners of the world has really sent a message to the mobile industry — and that message has been received loud and clear. Yesterday we announced that Bloomberg LP has snapped up the first of the $80,000 Enterprise bundles, and we expect more businesses to follow suit. To make it even more appealing, we’ve raised the number of phones included in the bundle from 100 to 115. Even better, since the campaign started breaking records on day one, we’ve been negotiating with several major component suppliers who are keen to see the Edge reach its goal and drive the adoption of new mobile technologies. This is one of the key benefits of keeping some of the core specifications open: as a result of these negotiations, we can now produce the same state-of-the-art device for less than we originally estimated. So of course we’re passing those savings on to you. There’s now a single unlimited $695 Ubuntu Edge perk, which comes with a year’s subscription to LastPass Premium and a place on the Founders page. At the end of the campaign, anyone who’s already pledged more than $695 for the phone will be offered a refund of the difference. There will be no further price reductions, and we must reiterate that the Ubuntu Edge is exclusive to Indiegogo. It will not be available to buy anywhere outside of this campaign, even at launch. The target is still $32 million, so we will need to ship a few more phones at $695 than we would at a higher price, but we believe we can do it. We have two weeks, and we have the best community out there, so let’s get to work: share this news, get the word out, and let’s get the Ubuntu Edge made! This is one of the most useful and cool GSotW’s I’ve found in a while! It is just mind-boggling useful! I was in need of a global find and replace text tool for multiple files, and this one fit the bill perfectly! Plus, you can even use it to generate a command line string to do the same task repetitively. An open source tool to find and replace text in multiple files. Geek Web Site of the Week: Clipping Magic! Have you ever wanted to clip around an image and then delete the background? Maybe to fill it in with a solid color, or maybe even make the background transparent? 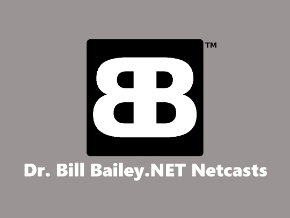 Well, now you can, with this neat web site! Drag your image onto the drop-zone above, or choose a file using the button. Images with sharp boundaries between contrasting foreground and background work best. Mark some foreground green and some background red and the algorithm takes care of the details. You get live feedback so you can focus your efforts on the challenging parts of the image. The background is removed by adding an alpha channel, with a suitably feathered boundary. Check It Out! YouTube Starts Geek Week Today! Celebrate your geekiness! Watch the YouTubery on Geek Week this week! 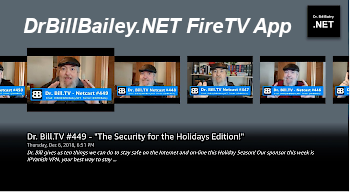 Our 300th Show, and a BIG Giveaway! A walk-through of Boxee.TV. 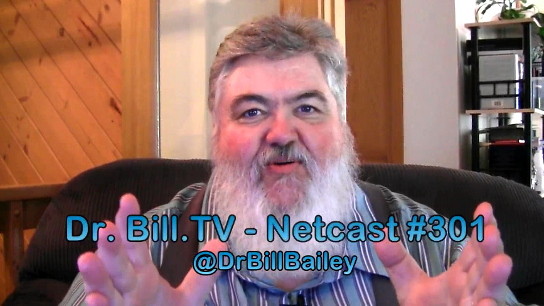 Google Chromecast, Dr. Bill is jazzed! 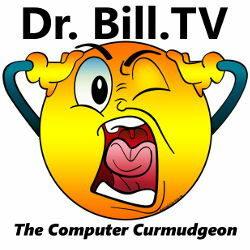 GSotW: Active@ File Recovery and Virtual Drive Creator, GigaOm Cord Cutter’s demo of Chromecast, Ubuntu Edge, Dr. Bill is a Founder! PiCast Project! Congrats to Nate Sprouse! 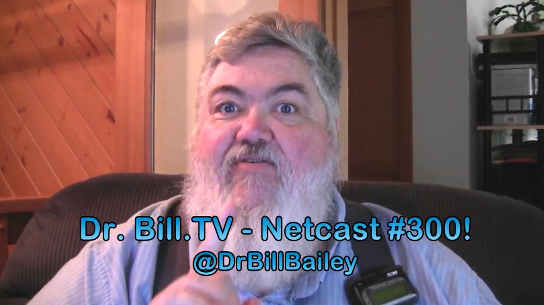 The Winner of our Dr. Bill 300th Netcast Contest! He won a Boxee.TV box! The Open Source PiCast Project! This is an Open Source project called PiCast. It is an Open Source Chromecast alternative. Neat idea, but at $35.00 for the Chromecast, I am not sure the PiCast will save you any money! It runs on Raspberry Pi, so if you don’t have that already, you will need to buy one.